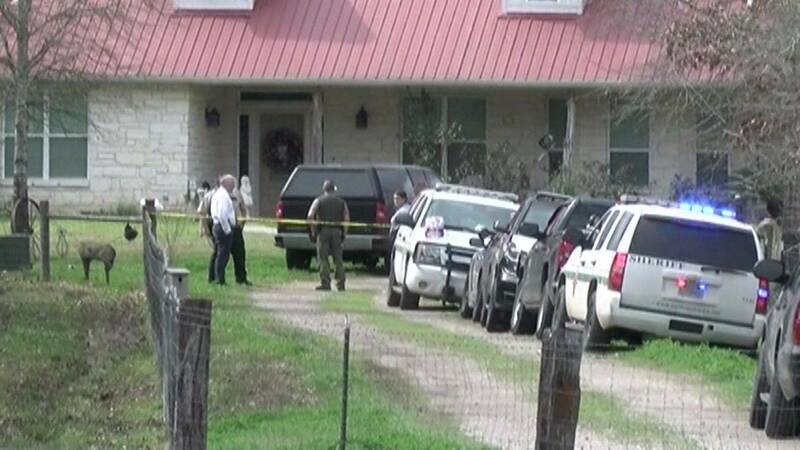 BLANCHARD, Texas - An East Texas woman who was shot dead along with her husband and three other family members sought a divorce last year. Ashley Raileen Horn filed to divorce Randy Joe Horn in October of 2018, according to Montgomery County court records. The case was dismissed less than a month later. Beyond the request for divorce, the slim court file offers few clues about what lay between the 27-year-old woman and 54-year-old man who were found dead along with Ashley’s grandparents, Carlos and Lynda Delaney, and a 15-month-old girl in the elder couple’s home about 75 miles (120 kilometers) northeast of Houston. On Monday, the Polk County Sheriff’s office launched an investigation into the killings after a neighbor came upon across three bodies outside the Blanchard house and told her son to call police. After arriving, deputies found two more people dead inside. Sheriff’s Capt. Rickie Childers declined to comment on the divorce filing Wednesday, saying that more information would not be released until medical examiner’s reports come back. Sheriff’s officials have said no suspects are being sought in the case but have declined to characterize the shootings as homicides and a suicide. They have also identified Ashley by her maiden name, Delaney. Court records show that Horn petitioned to divorce her husband on Oct. 15, 2018 while they were living in Splendora, Texas. The case was dismissed without prejudice in early November after she filed paperwork to withdraw. The court records do not make clear what motivated either filing. Sheriff’s officials have also declined to discuss any suspected motive for the killings.